You may be wasting a lot of money buying things from your local department or grocery store instead of a dollar store. A lot of times the dollar store is over looked. Many think that all of the items available at the dollar store are cheap and not as well made as brand name items. Although this may be true for some products, it definitely isn’t true for all of them! Knowing the right things to buy from a dollar store is a simple and easy way for you to save a ton of money. You can save a ton of money buying seasonal décor at the dollar store! Why pay a ton of money on things people are only going to see once a year. At Christmas time you can always find gift wrap and bags for super cheap. There are also lots of cute decorations for usually about a dollar. At that price you can afford to decorate the whole house! Craft supplies can be pricey! The dollar store is a great place to stock up on craft supplies for kids. Paint, glitter, beads etc. can all be found at the dollar store. Although not the quality a serious crafter would be looking for; these items are perfect for kids. Most cleaning products contain essentially the same ingredients. You can save a ton of money buying a generic brand of cleaner at the dollar store over a brand name. Even if you have to use a little extra cleaner to get the job done you will still save a ton. The dollar store also sells disposable gloves, cloths, and sponges for much less. Greeting cards from a store can cost sometimes as much as $5 or $6 dollars nowadays. Why spend that much money on a card when it is the message from you that matters the most! You can find a great selection of cards for any occasion at the dollar store. Pick one with a simple message and write something great from you on the inside! Socks always get lost or ruined so why pay full price on something that needs to be replaced all the time. For a dollar you can get a bunch of socks and not really care so much when only one seems to come out of the drier! Kids are always loosing things and hair accessories are no exception! You can stock up on a ton of different hair clips, hair elastics even brushes and combs for yourself or your kids at the dollar store. They are pretty similar to the pricey store bought ones and you won’t feel as bad when they constantly go missing. The dollar store is the place to go for party supplies; especially for kids’ birthdays. You’ll be able to find everything from plates and napkins to party favors and balloons! If you are a little creative you can do an amazing themed party by sticking to certain colors and only adding a few of the expensive items from a party store. 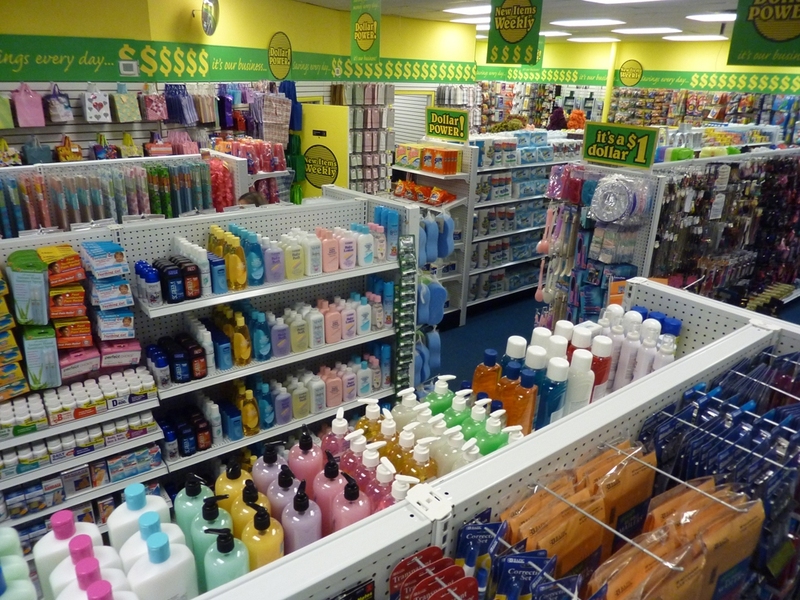 There are a surprising number of health and beauty products available at a dollar store that is the same as the expensive store brands. Some of the best are pregnancy tests, antibiotic ointments, loofah sponges, shaving cream and mouth wash. You can even find brand name make up from time to time such as Elf and Maybelline. Plus, you probably won’t notice a difference between the dollar store and the drug store products except in the price that you pay!